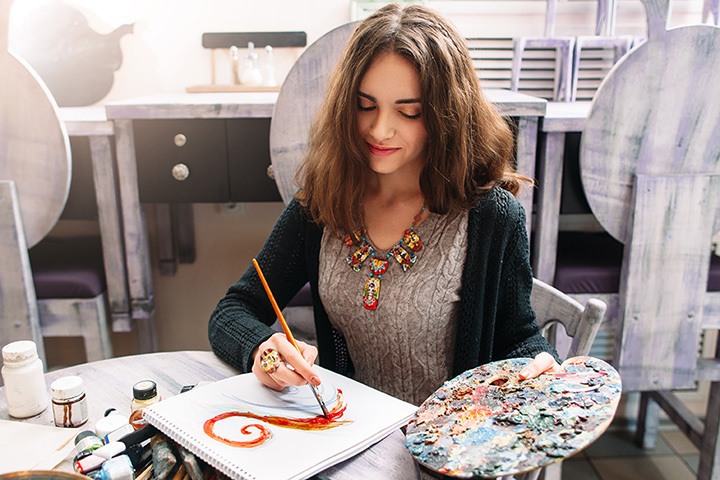 It doesn’t matter if you’re a professional artist or if creating art is simply a hobby, craft stores are an escape to a world of water colors, scrapbooks, photography supplies, and much more. To get started on your next project, stop by one of the 10 best craft stores in Pennsylvania. The Resource Exchange in Philadelphia is undeniably unique. Home to film and theater salvage, craft supplies, homewares, décor, and repurposed gifts, RE offers so much more than just supplies. And what's more? They make the environment a priority, too—as everything they offer has been salvaged or donated, with the hopes that it can see a new life instead of the inside of a landfill. RE features artists who work using its materials as well. Check out the gallery on their website—you might find inspiration for your next project! Voted as the best in Bucks/Montgomery counties, Phoenix Art Supplies is at the top of the list for a reason. Phoenix offers a wide variety of supplies for both artists and crafters, as well as framing services. They also sponsor local events such as round table discussions about starting an Etsy store. If that doesn't say "we want to help you succeed," we don't know what does. Opened in 1971, Merion Art is the Main Line's go to for arts and crafts supplies, framing, and more. In addition to its store, Merion Art also features an in-house graphic design team, ready to discuss your needs at any moment. The Merion Art website features both an employee art and graphic design gallery, so you can see for yourself just how talented their staff is. Prime Art Supply has a lot to offer. From supplies for your next project, to classes in wine glass painting to kids' birthday parties and summer camp...if you're looking for anything art-related, you'll find it at Prime Art Supply Co. And if you can't make it to the store? You can shop their selection online. Lancaster Creative Reuse isn't your typical craft store. It's a donation-based store offering supplies for art, craft, and sewing projects. Per the website, LCR "connects community excess to those who can use it creatively." Not only that, but they foster a sense of community, too. Just look at their Open Craft Table initiative. For a small fee (as low as $1!) visitors can secure a spot at the craft table and create using provided supplies for as long as they choose. Check it out today. You might make a new friend (or two)! As a 100 percent employee-owned business, Artist & Craftsman Supply offers arts and crafts supplies to customers with great service and care. Because when you own part of the company, you become more than just an employee, don't you? At Artist & Craftsman Supply in Philadelphia, the passion is evident. Shopping for supplies but want a more intimate and personal experience? Stop by today. The idea of a donation-based craft supply store isn't exactly new. However, PCCR offers more than simply craft supplies. PCCR's volunteers and interns want their customers to engage in new opportunities and learn new skills. To do so, customers can avail of a variety of different programs. For example, there are art parties, workshops, birthday parties, and guided tours available. Art Depot has been serving Mechanicsburg since 1993. And, according to its website, Art Depot is Central PA's "best choice for fine art supplies." Here, you'll find a "specialized inventory" for everything from students, to hobbyists, to professional artists. It's been family owned and operated since its inception and continues to be so today. Operating since 1971, Top Notch Art Supply has been providing art supplies and framing services to Pittsburgh and area residents for decades. You can find printmaking, sculpting, book binding, and calligraphy supplies here—and that's just the beginning. Top Notch has done framing for some of the museums in Pittsburgh as well. If they can trust them, so can you! Kennett Copy & More is owned by two friends with a combined 60 years of experience in the office and art supply business, according to the website. Every day, Kennett Copy offers art supplies at a discount—up to 33 percent—to all of its customers. In addition to art supplies, Kennett Copy also provides a copy center and office supplies.